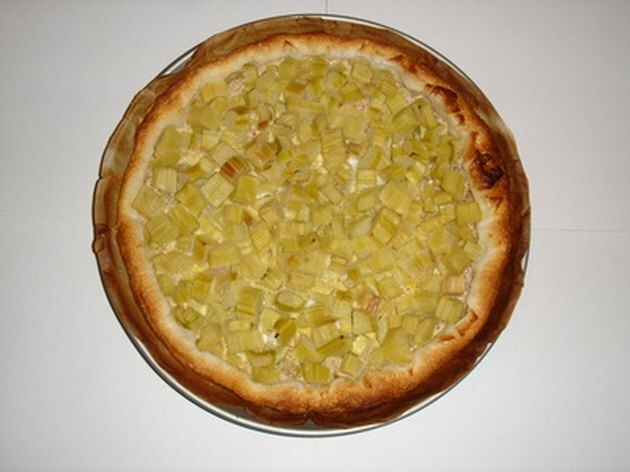 Rhubarb, although synonymous with fruit pie fillings, is actually a vegetable. In the garden it is recognized by its large, dark-green leaves and greenish-red stalks. However, rhubarb isn't the only plant in the garden that fits this description. Common burdock is a weed that has long confused gardeners with its similar features to rhubarb. 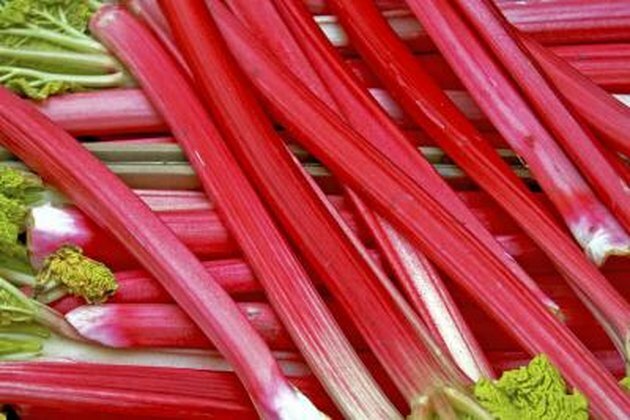 Rhubarb is found in three varieties: red, green or speckled. The colors refer to the fibrous edible stalk of the plant. The rhubarb plant is large and typically requires one square yard of garden space. The smooth stalks can reach a length of 18 inches and a width of 2 inches. Cross sections of the rhubarb stalk are solid. Rhubarb leaves are large, smooth, dark green when mature and have curled edges. Commercial rhubarb production is primarily in Michigan, Oregon, Washington and Canada, but it also a common and easy-to-grow plant for the home gardener. Burdock is easily confused for rhubarb due to its appearance and its misleading common name, "wild rhubarb." Burdock is a prolific weed throughout the U.S., so it is not surprising when it shows up in home gardens. To identify burdock, look for mature leaves that are less curly than rhubarb. In addition, the undersides of burdock leaves are wooly or hairy, unlike rhubarb. Another easy way to identify burdock is to cut away a cross section of its stem. Burdock has a hollow stem, whereas rhubarb stems are solid. When left to mature, burdock can attain a height of 5 feet and produce purple thistle-like flowers surrounded by rigid hooked bristles. These bristled burs are known for sticking to clothes, sheep's wool and dog fur. 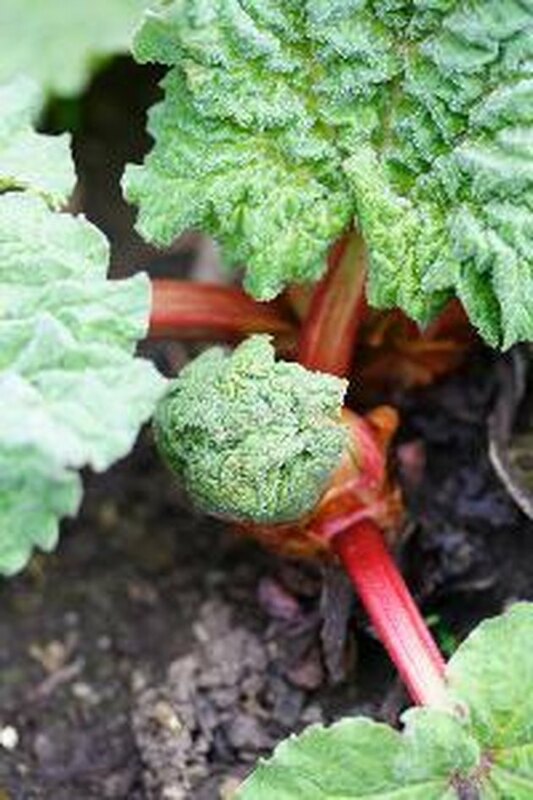 When eaten raw, the rhubarb stalk is generally sour and fibrous. 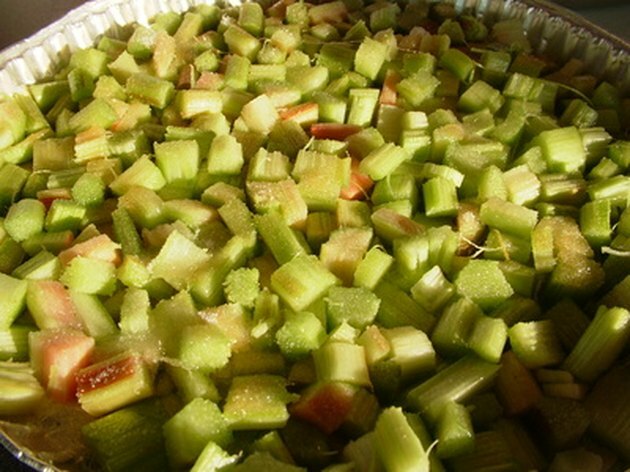 Cooked rhubarb adds a tangy, fresh flavor to pies, tarts, sauces and fruit spreads. The stalks are the only edible portion of the plant. Some species of burdock also have edible parts, but it is generally advised against without having specific knowledge of the plant. Burdock is sometimes listed as an ingredient in health supplements and folk remedies. Only the stalks of rhubarb are edible, as the leaves contain potentially toxic oxalic acid. Oxalic acid can cause kidney stones, gastric upset and even cardiovascular or respiratory failure. The Ohio State University Extension advises against consuming rhubarb stalks that have been hit by hard frost, as severe cold can cause oxalic acid to develop in the stalks. 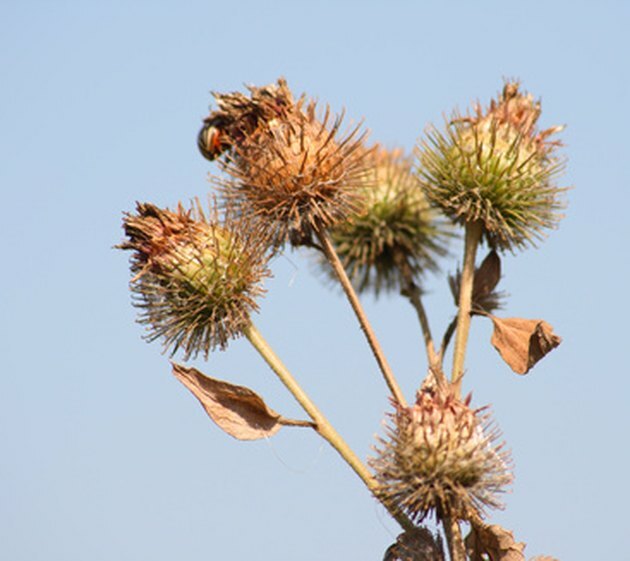 According to The Ohio State University Extension, common burdock should also be considered toxic due to its potential diuretic effects when consumed. The burs can also cause skin irritation when they become hooked in the skin.